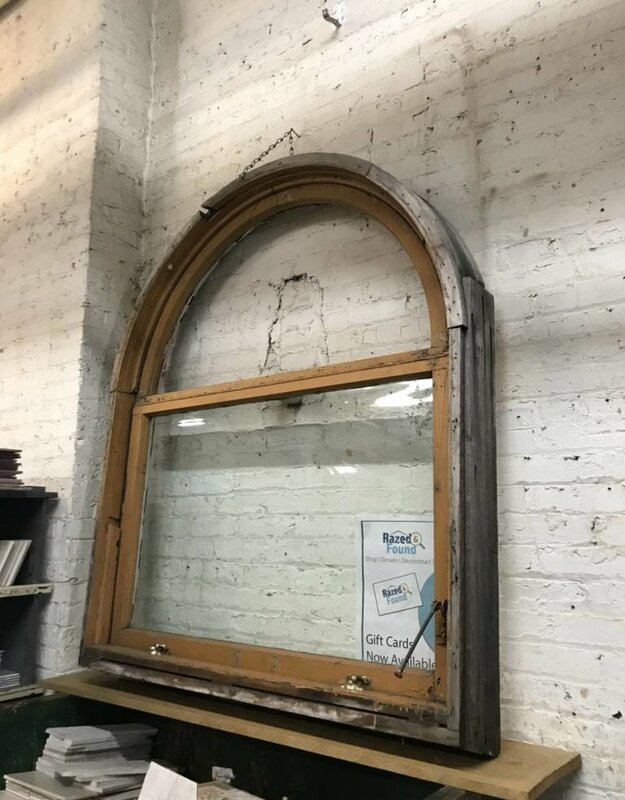 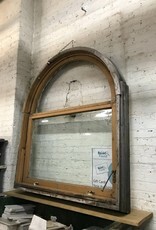 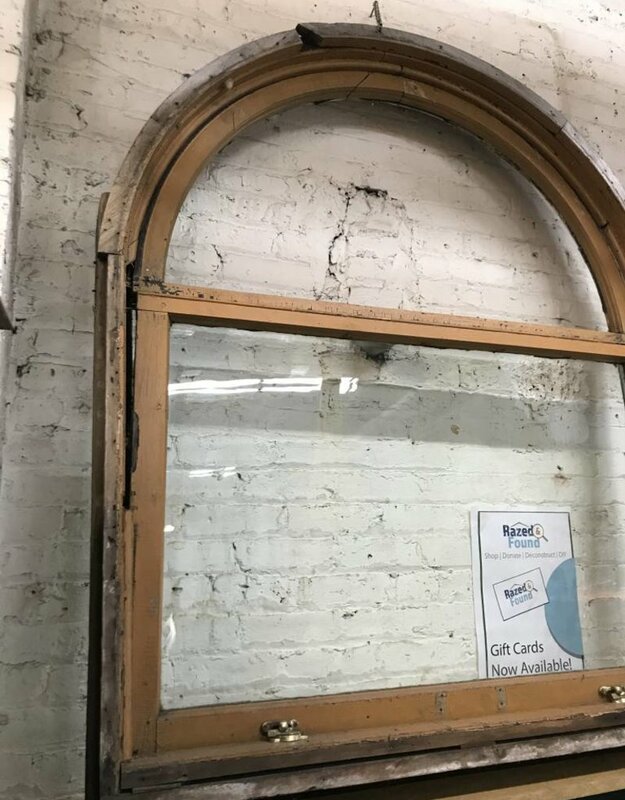 This large arched window would look great above a mantle or as decoration to add one of a kind architectural flair to any room. 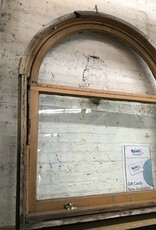 It is orange on one side and white on the other. 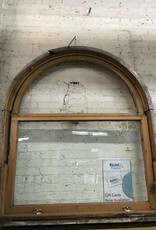 It is missing the top arched glass. 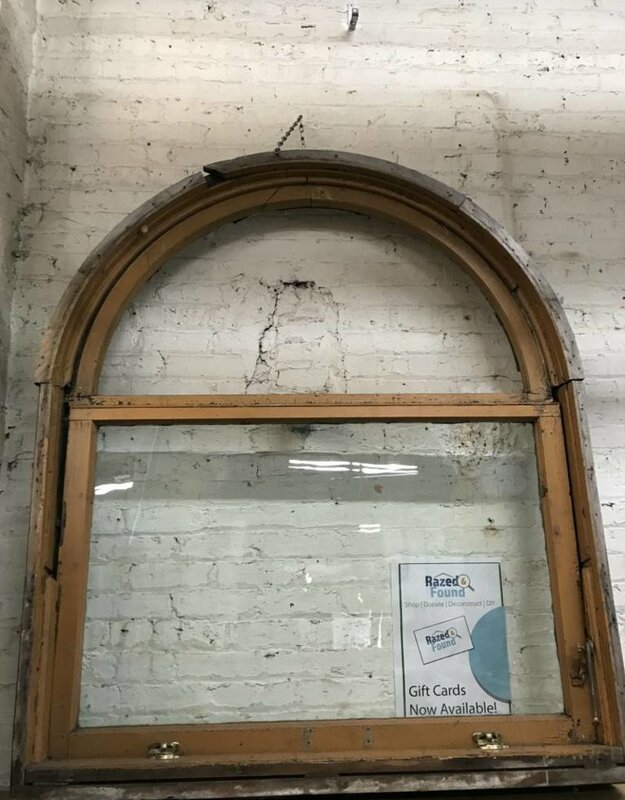 47.5" x 7.5" x 56.5"